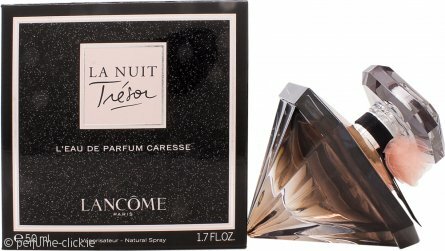 La Nuit Tresor Caresse by Lancome is an oriental vanilla fragrance for women. It contains notes of vanilla, almond flower, litchi, raspberry, rose, tonka bean, orchd, pink pepper, patchouli, jasmine, bergamot and musk. La Nuit Tresor Caresse was launched in 2016.